Peachtree Publishing Company, 9781561451906, 183pp. 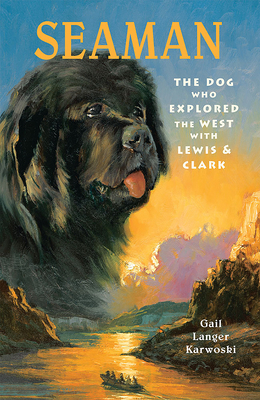 This fictionalized biography of Lewis and Clark's journey introduces Seaman, a 150-pound Newfoundland dog and unheralded member of the Corps, to young historians. Seaman travels the long journey with the Corps, playing a key role in the expedition's success by catching and retrieving game, and protecting the team from wild animals and hostile Native Americans. Gail Langer Karwoski's thrilling account of Lewis and Clark's expedition with the Corps of Discovery, Seaman, and eventually Sacagawea, full of accurate details drawn from Lewis's own diary entries, will draw readers into one of the most exciting chapters in American history.